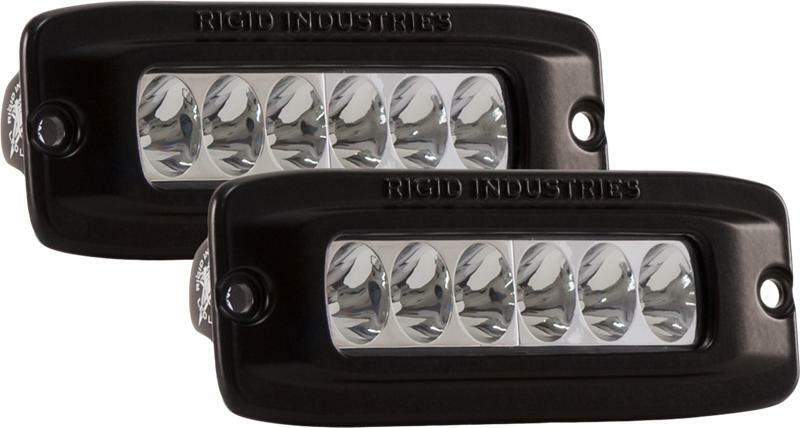 The Rigid Industries SR-Q LED Light is one of the most versatile lighting products on the market today. This compact LED light can be used for virtually any lighting application – from off-road to agriculture. The SR-Q utilizes the same technology as our D-Series, but in a wide configuration, instead of square. The size and shape of the SR-Q LED Light allows it to fit almost anywhere. Its cast aluminum housing and polycarbonate lens are sealed against the elements for years of trouble-free operation.